Inlet Yoga Teacher offers a teacher training program that is like no other! Imagine teaching your first yoga class and feeling confident that you will be able to meet the needs of every student that enters the room. While many teacher trainings focus on one specific style of yoga, this training provides diversity by exposing you to various styles designed to serve different populations. This is a well rounded program that covers the core principles of yoga practice, teaching the postures, anatomy, modifications and adjustments, understanding the philosophy of the Eight Limbed Path, as well as Ayurveda, the sister science of Yoga. The Inlet Yoga 200 Hour Teacher Training Program offers a modular course of studies program to give you the opportunity to make choices in what inspires you the most, as well as flexibility in scheduling your course work. Four Core Curriculum Weekends are required to set the foundation for your training. Two elective content weekends are required to complete your training. These weekends will expose you to specialized areas in the field of teaching yoga. This will help you expand your teaching ability and allow you to serve a broader range of students – which is necessary to feel confident teaching multi-level yoga classes. You have ten months to complete the training, but depending on your module choices, you could complete the training in as little as seven months. Participate in 7 teacher training weekends. A $200.00 non-refundable deposit application fee is due with your application. 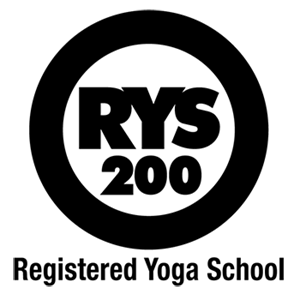 Students who successfully complete all the requirements of the 200 hour training will receive a certificate which they can use to register with Yoga Alliance at the RYT 200 level. Questions? Contact Maribeth for more information and to request an application at (843)655-6272.